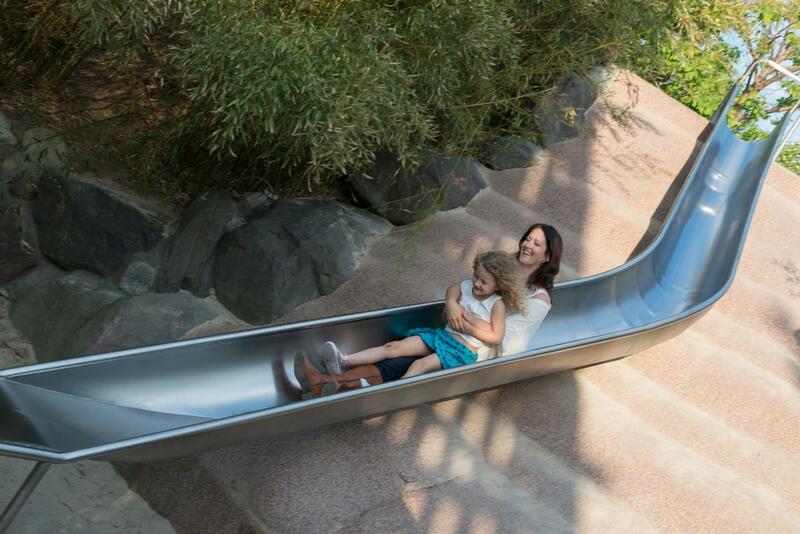 Wind your way through endless acres of “wow” with one-of-a-kind features that stretch the body and the imagination. 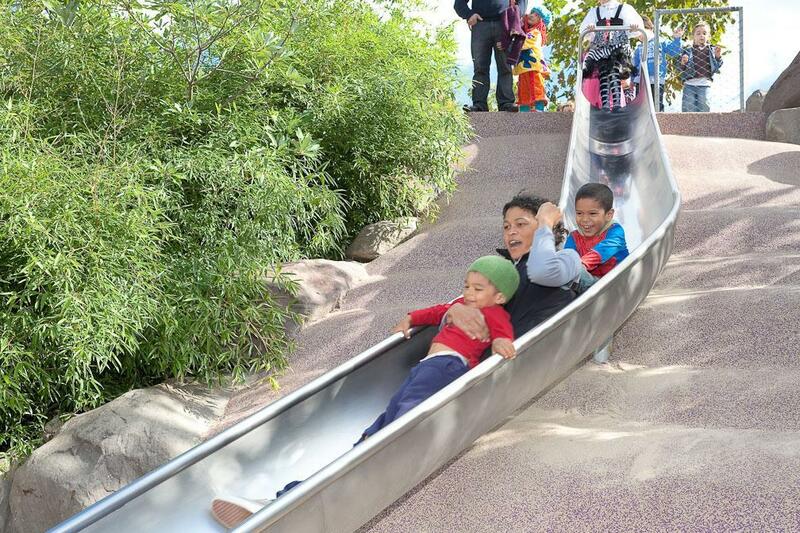 Slide down a great-big, magical mountain. 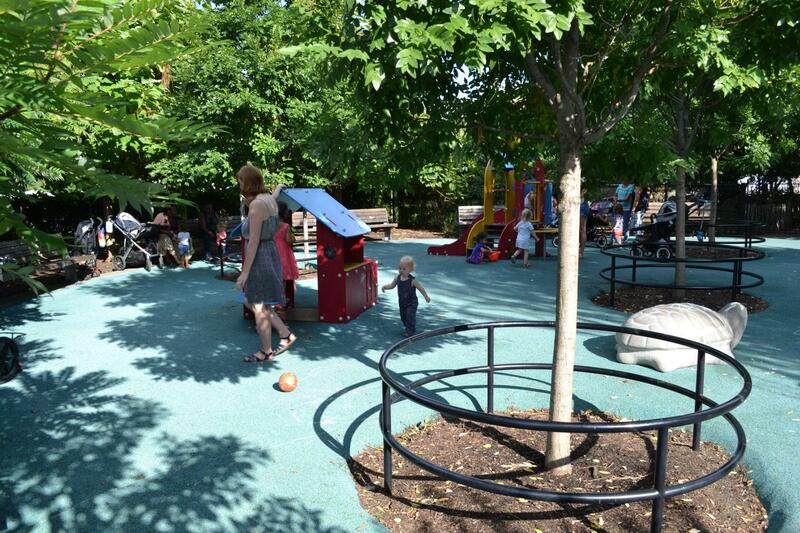 Go bananas on the Tarzan swing. 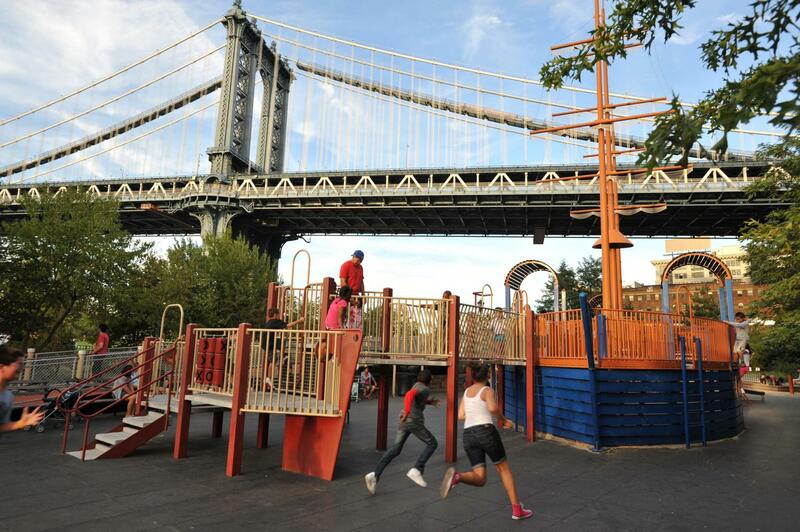 These cool, hideaway-style play spaces have already become a legendary daytrip destination for parents across all of New York City. 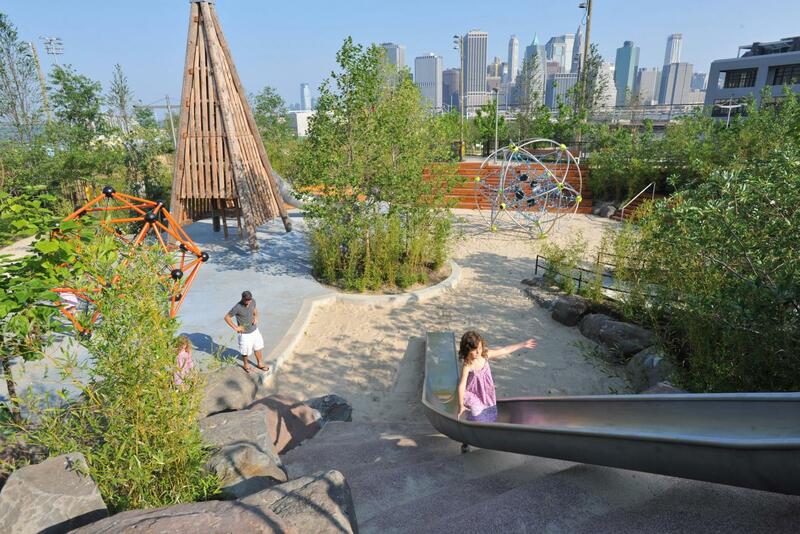 Created in consultation with experts from North Carolina State University’s Natural Learning Initiative and MVVA, Inc., each of the playgrounds’ swings, ropes, water channels, sandboxes and other features help hone the skills and interests of kids of all ages. 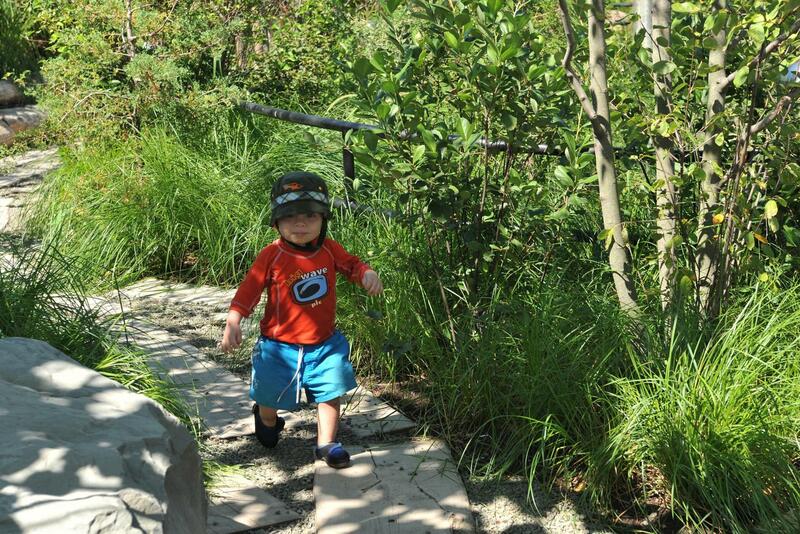 Grab a hat, shovel (and kid!) 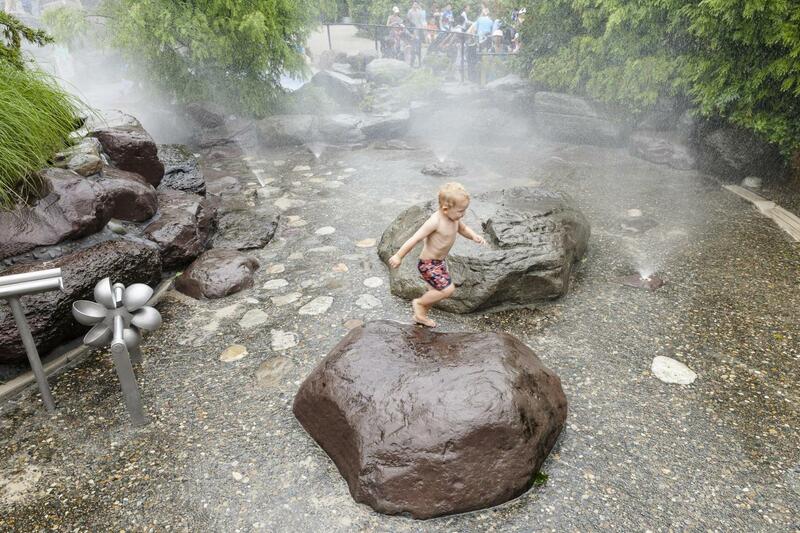 and we’ll see you there! 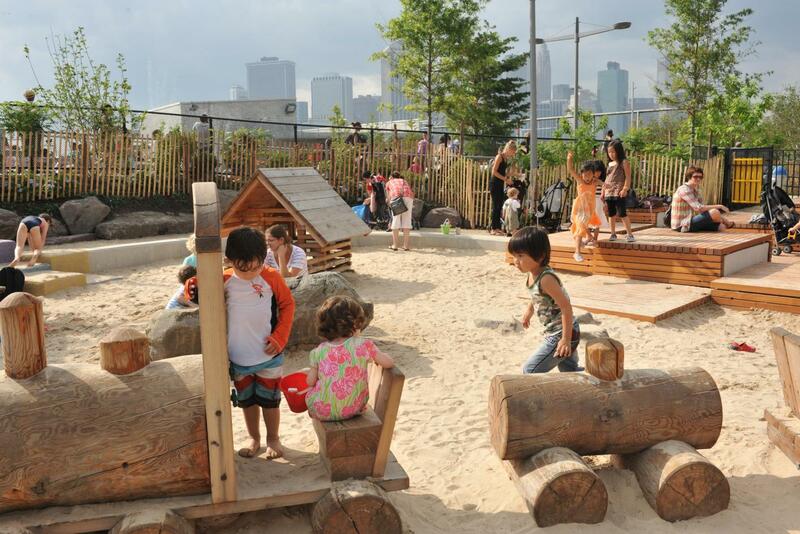 Dig deep and pile high in what’s possibly the largest sandbox in New York City. 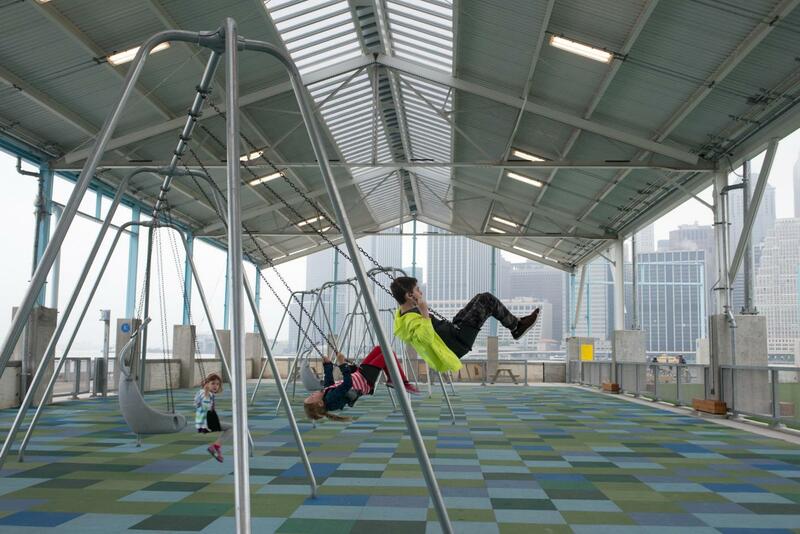 It’s great for toddlers and older kids, too. 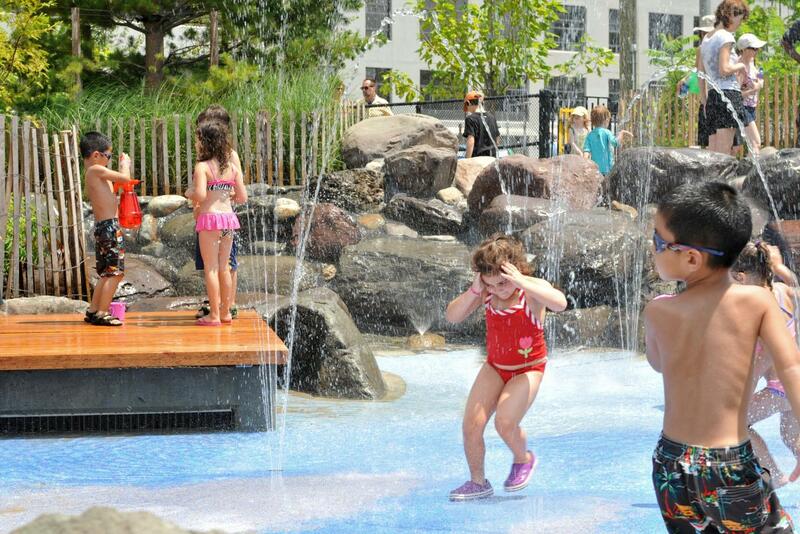 Cool off in the park’s most popular playground, which features a water-jet field that will keep children entertained for hours. 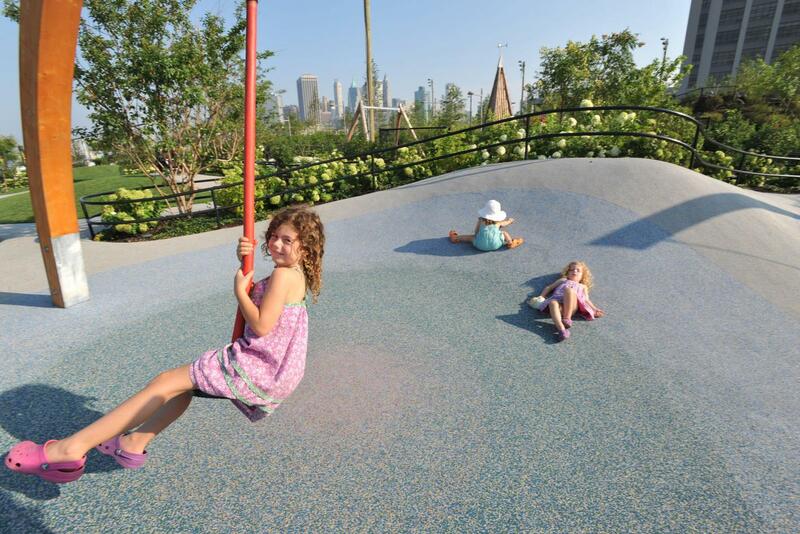 Twist and turn down the 2-story slides, and tackle the jungle gyms that make up this dynamic playground. 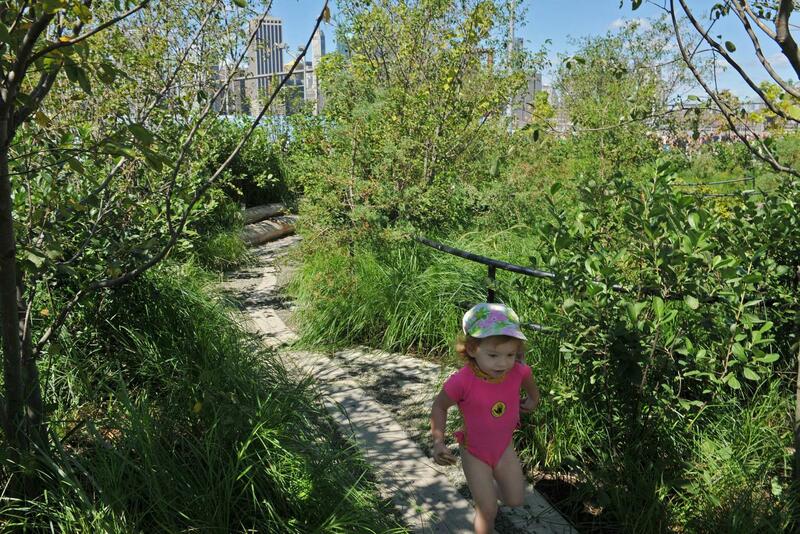 The Marsh Garden provides an intimate setting that immerses children in the natural environment. 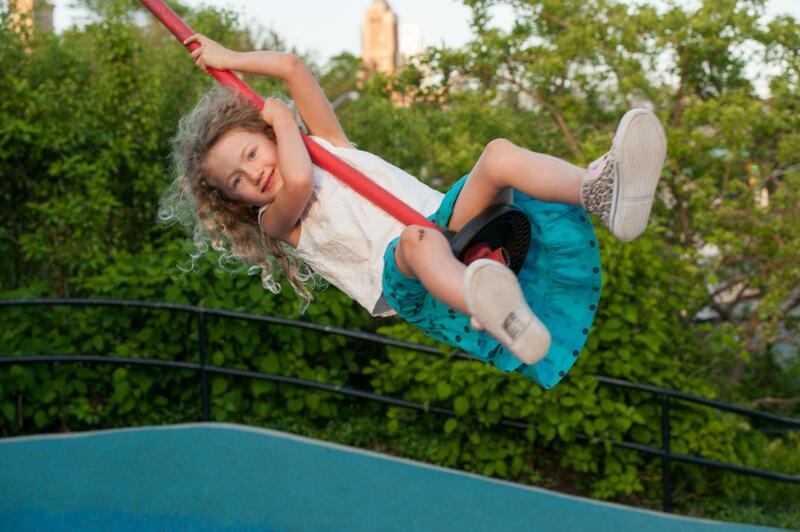 Fly through the air on our swings and Tarzan ropes. 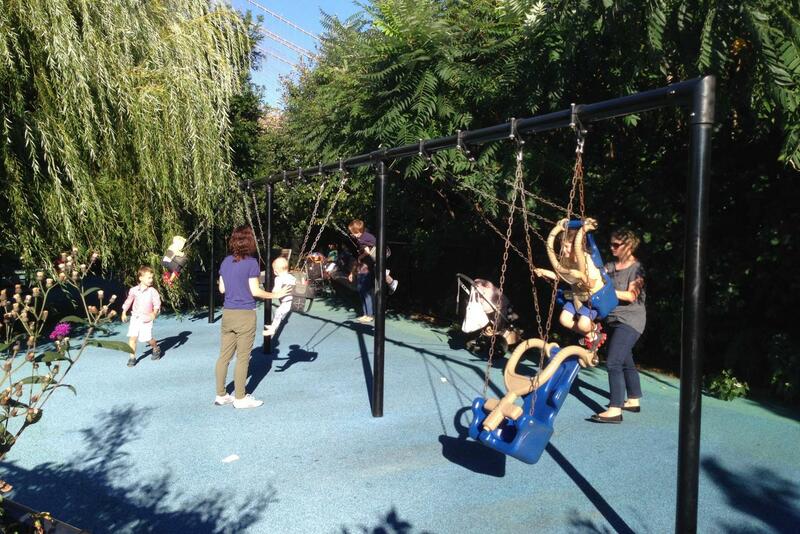 Our ten swing sets ensure there’s a seat just the right size for kids of every age. 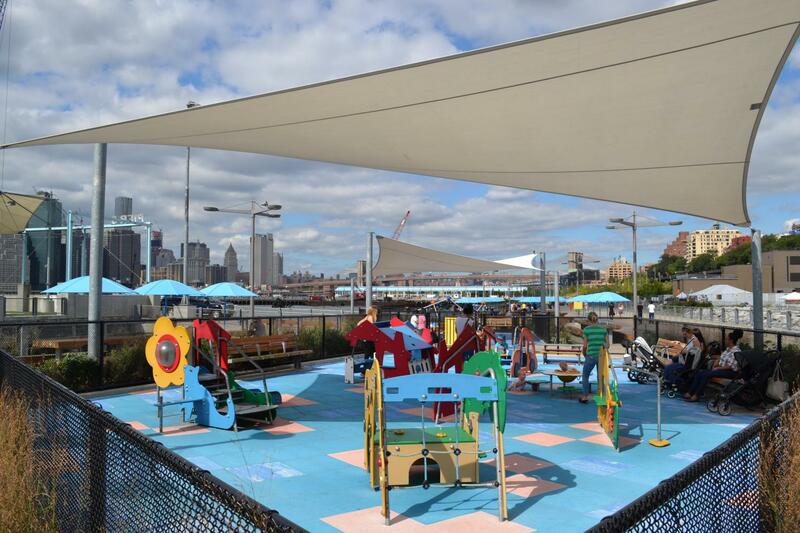 Children’s swings sit atop a multi-colored play surface along the southern end of Pier 2. 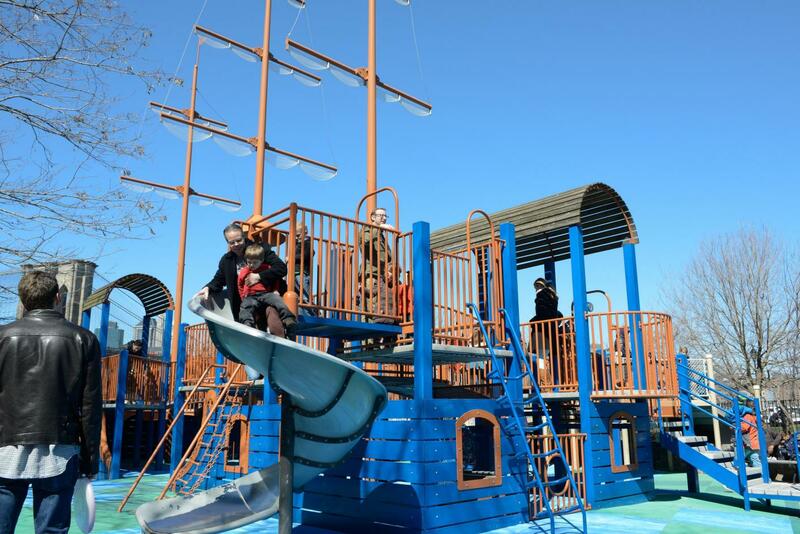 This nautically-themed playground includes climbing equipment embellished with decorative sails and a boat-shaped sandbox. 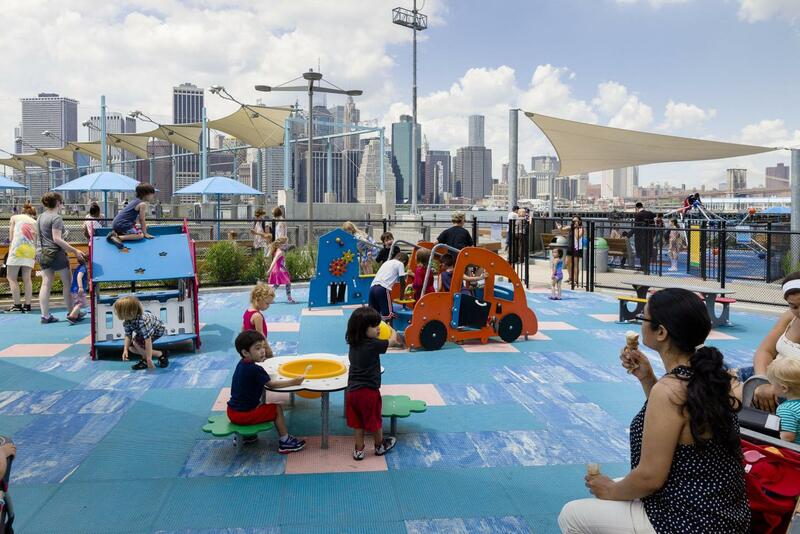 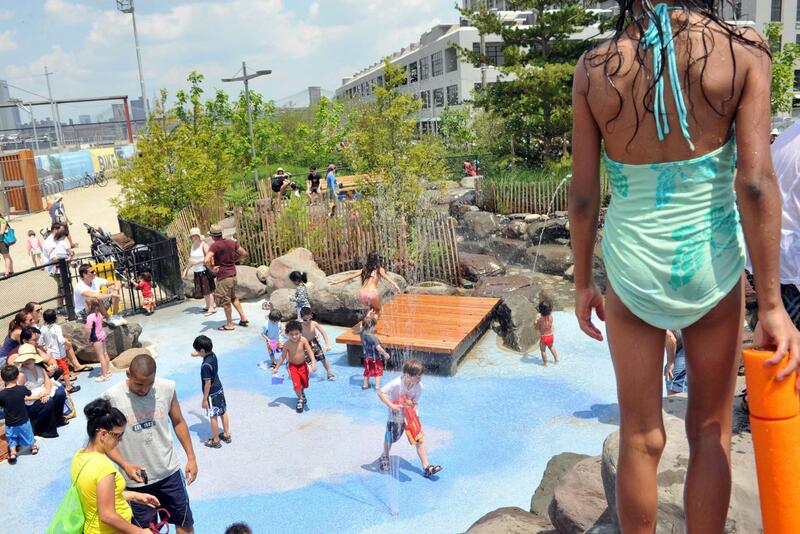 Bring the kids - two play areas for children of all ages are located on Pier 5. 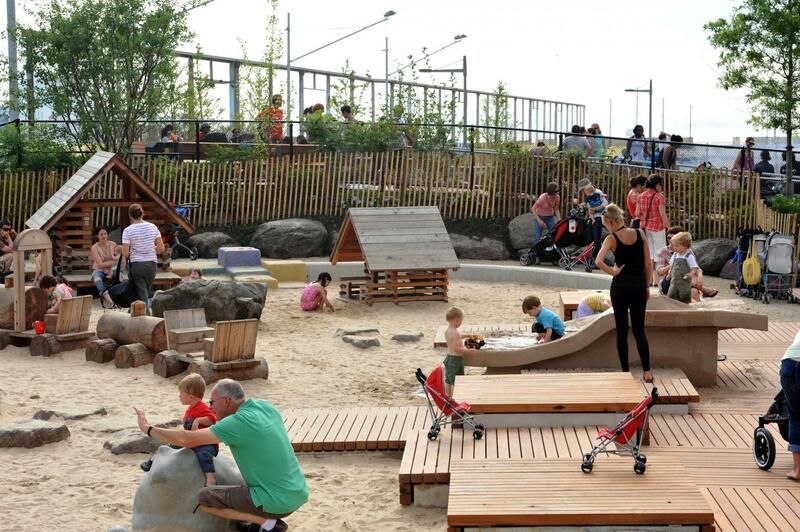 Delight younger children by taking them to a playground designed just for them.